The first issue macOS users encounter when they try to delete µTorrent app is that the app cannot be deleted via Launchpad (there is no cross to remove it when you hold the button). But don’t worry! In this article, we will explain how to uninstall µTorrent on a Mac completely and safely. Uninstall µTorrent using App Cleaner. Usually, Mac users go to the Applications folder in Finder and simply delete the µTorrent app to Trash. Nice, but we have bad news for you. You deleted only the executive file, while all its service files remained on your hard drive. To see hidden files and folders on a Mac, you can use a free application Funter. 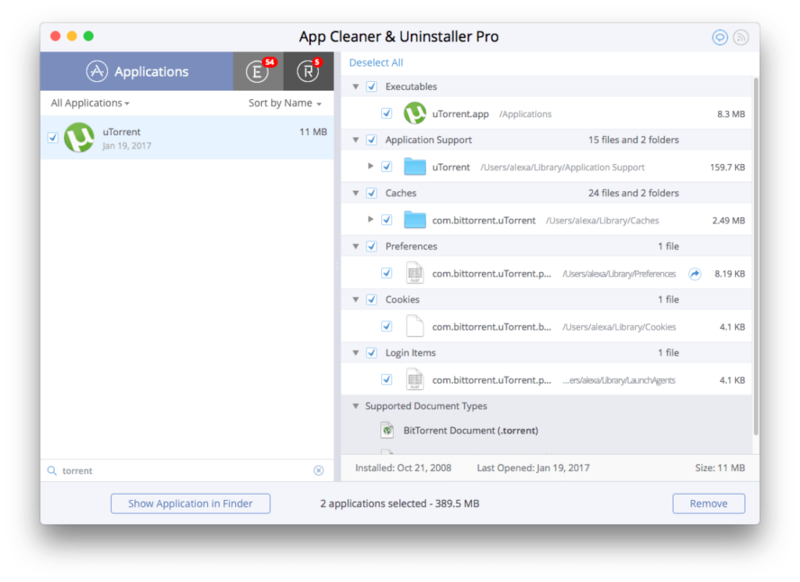 You can also purchase an uninstaller App Cleaner & Uninstaller, which gives an ability to uninstall a program on Mac completely and safely with all highlighted above files. Watch how to uninstall uTorrent on Mac using App Cleaner & Uninstaller. In short, just launch App Cleaner → select µTorrent → click to remove it.